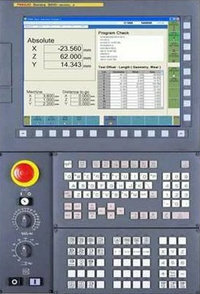 Fanuc cnc control provides the ability to access other part programs stored inside the main directory. 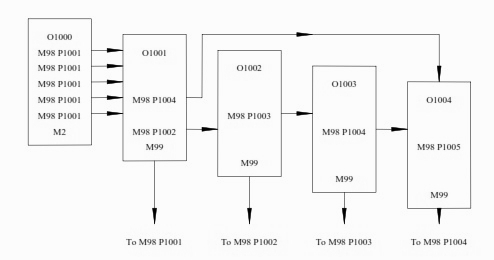 Sub-program is called by the use of an M98 command followed by the sub-program number preceded with a letter P.
The control also has the ability to contain a repeat command as part of the M98 program line. Above cnc program code will call O1004 program 33 times then will return to main program. This command above will move the control to line number N100 in the main program.